Dubai, UAE; November, 2018: Classic, contemporary and modern jewellery designs on display at the Italian pavilion at VOD Dubai represent the themes of traditional ways of jewellery making, blend of luxury and creativity, and the potential of technology to create masterpieces. ITA organized a cocktail reception during the fair which acted as a networking platform for the 28 companies participating at the Italian pavilion to explore new opportunities of growth in the region. The jewellery sector has always been among the sectors that contribute more to the UAE economy. In 2018 the estimated value of the total sales in the sector amount to about AED 11 billion with a growth of 0.7 per cent over the previous year, when the growth rate had been 0.6%. 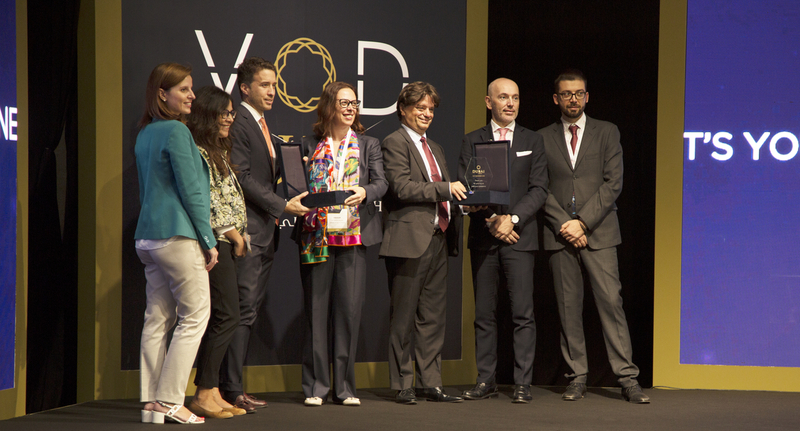 VOD Dubai International Jewellery Show took place from November14-17, 2018 at the Dubai World Trade Centre.